Hello guys, I need to know my estimated upload to Frankfurt or Amsterdam for Streaming purposes. I can only choose Great Britain in servers.. everything else is outside EU. I'm putting a machine online for you in Frankfurt DE. Give me a few minutes. Hope this helps. Keep in mind that I've only quickly added this for you, it will appear in the logs as London, GB until I really add it. As long as it says de.testmy.net in the bowser while it's testing... you're testing to Deutschland. I may integrate it later if the server proves worthy. 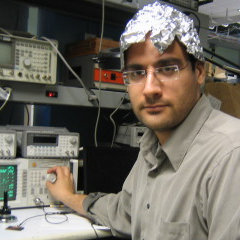 This is outside of my normal Softlayer network on Linode but it should serve your purpose. Testing against the server wasn't totally ideal but that may have to do with the outbound peers leaving Germany. I'd have to test within DE outside of the host network to know for sure. Connecting to eu.testmy.net (eu.testmy.net)|159.8.149.164|:80... connected. So uploading to the DE server is definitely not going to be an issue. But coming out of the server, at least when going to my server in London, it's not as fast as I'd like to see. Ideally I'd like to see at least 75-100 MB/s (600-800 Mbps) in both directions. In testing out to dallas2.testmy.net both the EU and new DE servers performed well for me. Connecting to dallas2.testmy.net (dallas2.testmy.net)|108.168.210.66|:80... connected. Not bad given the distance but again not what I really like to see from a test server. Other routes to different people and different times of day may have better or worse results, I'm not sure yet. In other words... it's ready for testing but you're the first to use it so let me know what you think of the results that come off it. I get better results from DE than GB here at my house in Colorado. 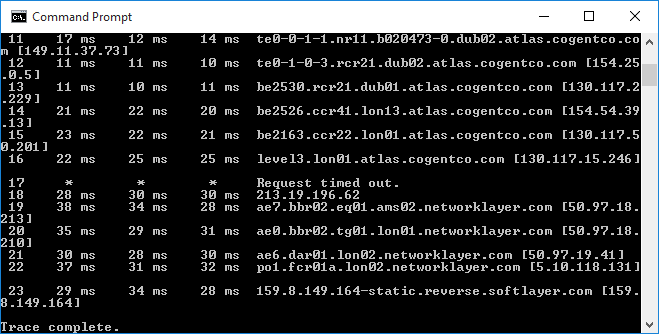 Connecting to testmy.net (testmy.net)|75.126.52.197|:80... connected. Very nice. Do the same to de.testmy.net ... and then to uk.testmy.net. Connecting to de.testmy.net (de.testmy.net)|85.90.245.112|:80... connected. Connecting to uk.testmy.net (uk.testmy.net)|159.8.149.164|:80... connected. Thank you very much, this is very helpful. I do get better upload bandwidth to DE than to GB. No problem, happy to help. Spread the word. 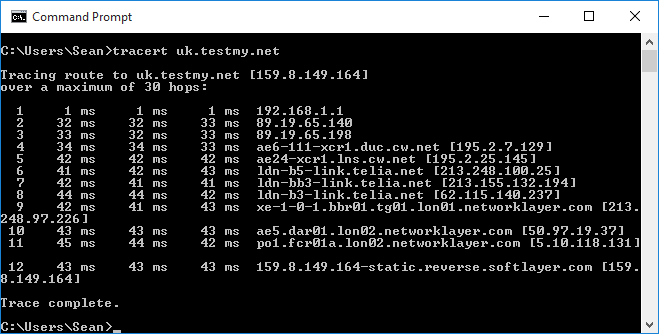 If hop #19 is what I think it means, it looks like my connection to the UK Testmy server goes through Amsterdam! Finally changed my last ISP, to a more 'stable' one (hopefully) and those links serve me very well, thank you very much!!! Why do these say Dallas,TX when I tested the Denmark Server? It was logging correctly, just not displaying on the share images correctly. Fixed. Thanks. -- that server is in Germany (DE), not Denmark (DK) btw.